A number of city projects worth more than $60milllion have been ticked off by the Launceston City with major works starting from December and early in the New Year. The varied projects will have a major positive impact on the city and for the construction industry in the North, bring forth a mini boom the city and the region desperately needs. *The $20million development of the Penny Royal complex by the JAC group founded by entrepreneur, Joseph Chromy. *$16m Silo Hotel development at nearby North Bank by Errol Stewart MD of the JMC Group. Aspects of the Penny Royal development have already started and JAC Group, Dean Cocker, expects the tenders for the next state would be called in January. “The work includes construction of restaurants, bars, cafes, a cellar door, whisky distillery and stacks more to attracts and entertain tourists. Cliff top and rope walking on the rock face site is expected to be open by Christmas,” Mr Cocker said. 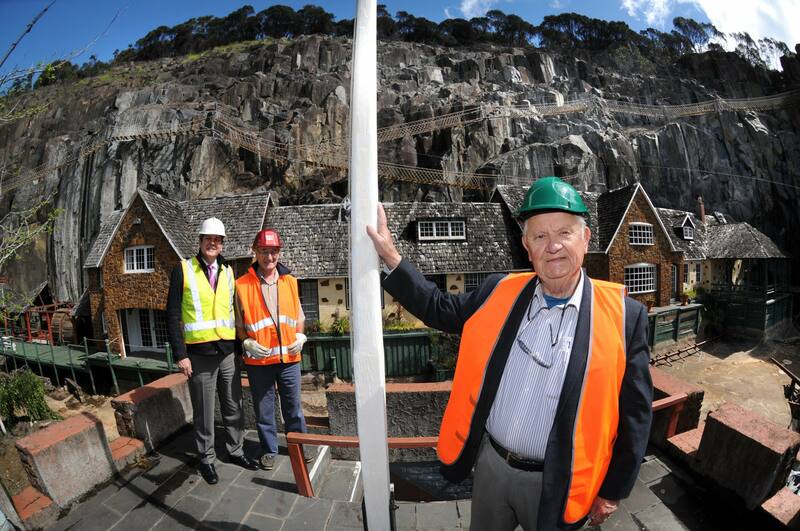 “Still to come is a chair lift which will provide a sensational experience and spectacular scenery including the Gorge from up high and the dark ride, a Disneyland style journey through the 1825 story of Bushranger, Matthew Brady. The ride is already been worked on by a company employed by Disneyland and Dream world on the Gold Coast. The Launceston City Council’s decisions to demolish the Old Woolstore on Northbank will enable the Silo Hotel development next door to add another dimension to the $16m development. Developer, Errol Stewart, said material from the Woolstore will be used in a new Woolstore commemoration display, located on the ground floor of the Silo Hotel development. He will also fund the demolition with the council responsible for the removal asbestos from the site. Woolworths expects to start work next month on its $10m supermarket in Wellington St, a couple of blocks away from the CBD. Construction of the 3200 square metre store will create 150 jobs and will; also create another 150 retail positions when finished by Christmas next year. Plans for the UTAS student accommodation project have been submitted to council and placed online for public comment. Over three levels, the two student accommodation wings will sit on stilts to avoid floods on the former tidal mud flats. The development is adjacent to the North Esk River and sits nearby to the to the Queen Victoria Museum and Art gallery. In keeping with its support of encouraging UTAS to bring campuses and accommodation into the city precinct, the land was basically gifted to UTAS by the council. In Hobart, a $65 million housing project in Hobart CBD has been approved by the Hobart Council. The development, by the University of Tasmania under the National Rental Affordability Scheme (NRAS), will feature a car park, restaurant and 430 apartments on the corner of Melville and Elizabeth Street. The building will be the second tallest in the CBD, at 15 storeys high, and is expected to create approximately 150 jobs. 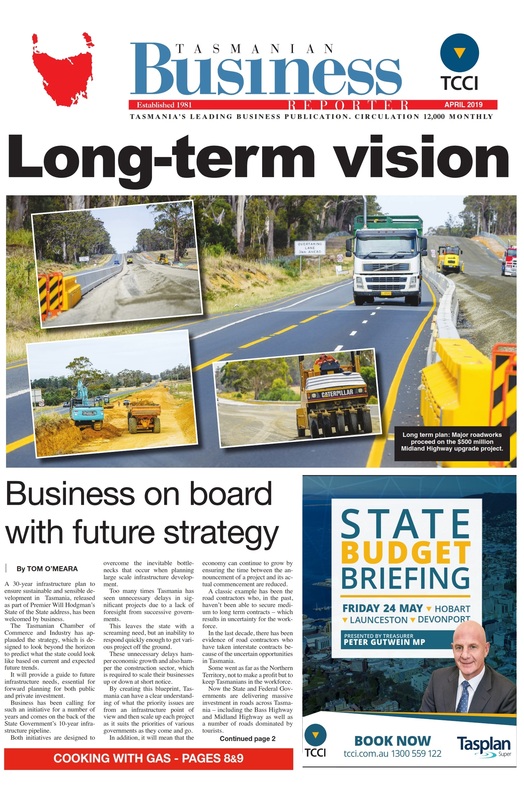 Click here to sign up to receive the Tasmanian Business Reporter straight to your inbox each month.